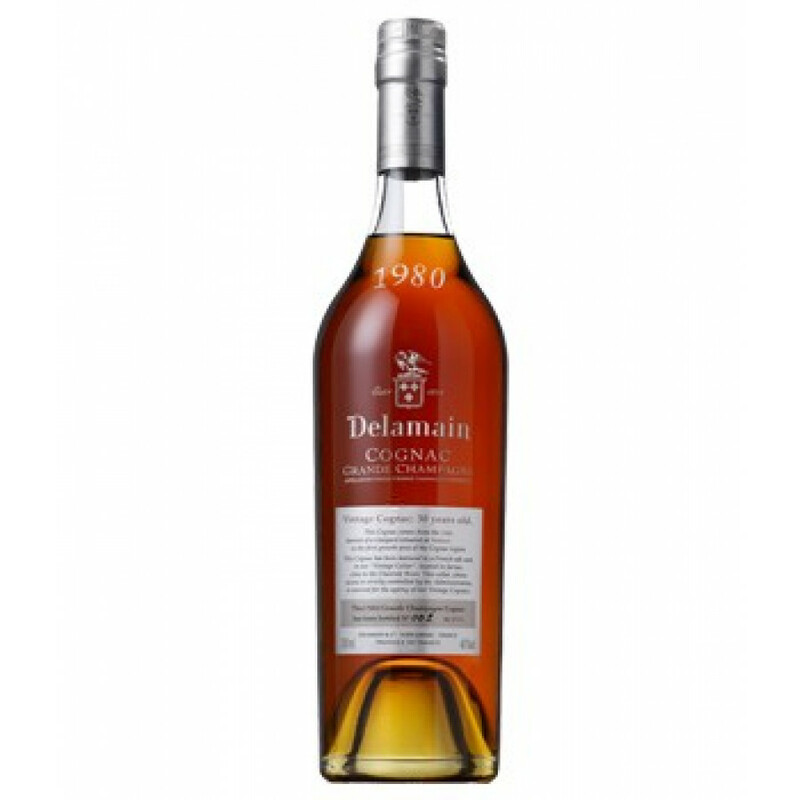 Delamain Millesime 1980 Cognac is a vintage cognac. The eaux-de-vie are 30 years old, its grapes were harvested in 1980 at vineyard in Mainxe, in the first cru of cognac, Grande Champagne. This cognac was distilled by a bouilleur de cru, and since then the cognac has been ageing in the cellar of Delamain, for 30 years in a barrel of 350 litre, and then bottled in 2010. The difference with this cognac is, that there is no Delamain-like "marriage" procedure, but the cognac aged in one barrel - and was never changed.